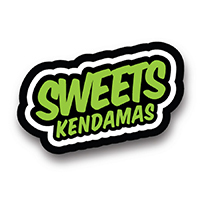 Sweets Kendama are throwing it back to the original Homegrown shape on this one. The classic HG shape is one that many players around the world have won championships with. For this drop we used some beautiful Hickory wood for the ken and Ash for the tama. The two woods complement each other very well by sight and playability standards. If you are looking for a hardwood jammer you are not going to want to sleep on this drop. Kundenbewertungen für "HG Classic Hickory w/ Ash Cushion Clear"